How to make a fool of the lefts abroad ex-USSR about Donbass? 1. Speak loudely, that «the Donbass people have risen against «ukrainian fascism». That’s not true. Most part of the voting for Donetsk and Lugansk republics in April-May of 2014 voted for the uniting with imperialist Russia by the economical reasons. The most activists of the pro-Russian movement in Donbass were russian fascists — for example «the people’s governor Gubarev» was the member of RNE — Russian National Unity, the russian nazi organisation, prohibited in Russia as fascist since 1990-es.On fact we see the fight of the two groups of fascists. For example, groups of Donbass military, so-called «Don cossak’s army», that control some regions on Donbass area, are standing for the restoration of monarchy, making orthodoxism as a state reliugion of Donetsk and Lugansk republics (that was even in the project of constitution, that was discussed), they are also completely anti-semits. The Donbass militant troops consist mostly from the Russian fascists and also carry «slavyan swastics» on their uniform. 2 Say, that it’s a «common people’s uprising». That’s also not true. First, the protests against Kiev hunta were not spontaneous. They were organised by ucrainian oligarkh Akhmetov and russian oligarkh Malafeev (the last have spent $225 mlns, that were compensated by Russian governent via VTB). Second, till the July 2014 most part of Donbass population haven’t supported the self-declared republics, they had no administration and very little military forces, mostly volunteers from Russia and private security services of the mine owners, organized by Akhmetov’s and Malafeev’s private security services (such commanders of Donbass militia as Khodakovsky, Strelkov-Girkin, Bezler and some others were the chiefs of some security agencies — that’s not a secret for anyone, who can read Russian). 3. Show everywhere in videos and photos the red banner on the Donbass buildings and together with Donbass militia. But they use this banner together with the flag of the Russian Federation and the flag of Russian Empire. There is a special idea between Russian nationalists that the USSR is a kind of reincarnation of the Russian Empire and Stalin is a «new tsar». There is nothing cpecifically communist or even socialist (only if we don’t speak about national-socialism :)). 4. Show the dead bodies of the Donbass people and say, that Ucrainian troops make a lot of military crimes. Of cause it’s true. But this isn not a full truth — Donbass military forces also make the crimes — for example, the militia commander «Batman» for a year since the very beginning kidnapped and tortured civilians, robbed them — there was a system of reselling of the confiscated cars. http://lenta.ru/news/2015/01/02/lugansk/ etc. And that another link — a russian volunteers in Donbass — «pagan» nazi detachment «Rusich» cuts the ears of the ukrainian prisoners. http://uglich-jj.livejournal.com/87194.html — there aslo are photos, where the commander of «Rusich» is taking part in international conservative forum together with the well known other european nazi. And also a fact from me — my ant lived in Donbass (Slavyanoserbsk) This town was under Ukrainian control and civilians were bombed from the Donbass side by Grad and heavy artillery. The same as Ukrainian army did with Gorlovka and other towns. Google «Slavyanoserbsk victims». The terror against civilians is mirror from the both sides of front line. 5. Speak about «communist detachment» in Mozgovoy’s brigade. Show the persons from Militia, calling themselves «communists». First, thas «detachment» is only 50 combatants. The rest of this brigade are open nationalists-russian volunteers and partly unemployed miners, who have lost the job with the war. 50 combatants for the 15-20 000 Donbass organised militants. The commander Mozgovoy speaks sometimes about «socialism» and even the restoration of the USSR, but he is well known as monarchist and anti-communist — talking about socialism is just a trick to attract the volunteers from the «left nationalists» as CPRF or ukrainian «Borot’ba». 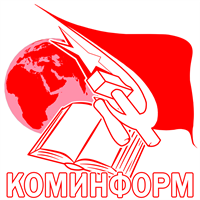 The volunteers of this detachment are NOT COMMUNISTS, they are hostile to marxism-leninism and declare nationalist ideas under the red banner. For example — the CPRF member Stephanovsky, killed in Donbass in August 2014, was known before as nationalist organiser in Perm who aimed «legitimize the ducourse of Russian nationalism» (citate) and organised the assistance to the piolice in «struggle with illegal migrants». Now he is positioned by opportunists as a «communist-hero» and an «anti-fascist fighter». 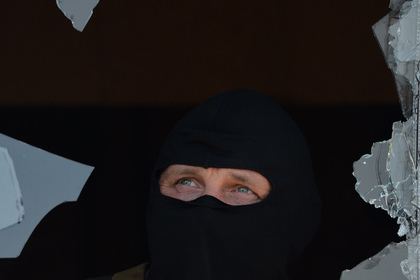 Between Donbass militants that is a most usual type of a person, calling himself a «communist». Real marxist organisations in Russia don’t support Donbass bourgous republics and have never sent there any volunteers. Прокуратура самопровозглашенной Луганской народной республики объявила о том, что ополченцы из батальона «Бэтмен» подозреваются в пытках мирных жителей. Об этом сообщает РИА Новости со ссылкой на пресс-релиз прокуратуры. Как пишет издание «Военные материалы», 30 декабря по факту пыток было возбуждено уголовное дело. Задержаны трое ополченцев с позывными Маньяк, Фобус и Омега. Командир подразделения Александр Беднов, известный как Бэтмен, при задержании был убит сотрудниками народной милиции ЛНР. Как отметили в прокуратуре, он отказался сложить оружие и оказал вооруженное сопротивление милиционерам. Среди подозреваемых также бойцы с позывными Дак, Чечен, Луиш, Янек, Хохол, Суббота, Зема и Таблетка. Как сообщает РИА Новости со ссылкой на прокуратуру, в июне 2014 года сотрудники подразделения «Бэтмен» взяли в заложники 13 мирных жителей и пытали их. Помимо этого ополченцы подозреваются в вымогательстве и разбоях. В ходе обысков по местам их проживания изъято более 100 единиц огнестрельного оружия, боеприпасы, деньги и награбленное имущество. Однако в сообщении на странице батальона «Бэтмен» в социальной сети «ВКонтакте» утверждается, что Беднов был убит 1 января по распоряжению главы ЛНР Игоря Плотницкого. «Бэтмен и все его сопровождение по приказу Плотницкого уничтожены, отдан приказ на зачистку всех непримиримых командиров, — написали авторы поста. — Сопротивления со стороны Бэтмена не было, их тупо расстреляли на ходу». Согласно информации, распространенной батальоном, бойцы «Бэтмена» опознали тело своего командира, которое находилось в Volkswagen Transporter Т-4. Нападавшие также якобы сожгли машину Toyota Prius, сопровождавшую автомобиль комбата. На странице подразделения опубликованы фотографии покореженных автомобилей и двух тел. Одно из них, обгоревшее, находится в салоне машины, другое лежит возле транспортного средства. В сообщении отмечается, что убиты шесть ополченцев из кортежа Беднова.